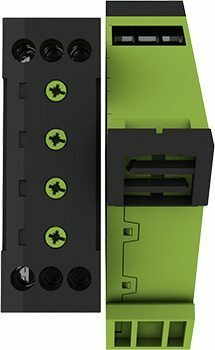 The TELE VEO is more reliable, more compact and much more affordable than any programmable logic controller. The TELE VEO can independently perform applied physics operations and directly measure parameters such as temperature, voltage and current – plus it can immediately notify you of any problems. With its panoramic vision, the “all-seeing eye” protects your machines and systems. Smart, user-friendly and a true all-rounder. The only thing you’ll still have to do yourself is make your tea. The ultra-small housing dimensions featuring a width of just 22.5 mm and a depth of only 76 mm save 50% of the space required for comparable industrial designs. The freely movable labelling field and the bright, energy-saving LED indicator are sure to impress! The adjustment potentiometers are recessed and the TELE VEO can be installed without tools thanks to the push-in terminal. This saves a great deal of time in the installation and also allows you to let robots do the job. shorter reaction time and improved measurement accuracy. The TELE VEO offers improved measurement accuracy of 2.5%. Because the TELE VEO is so flexible when it comes to long-range supply, you no longer have to maintain a large inventory of replacement parts. The TELE VEO can be used in a frequency range of 16 2/3 to 400 Hz. 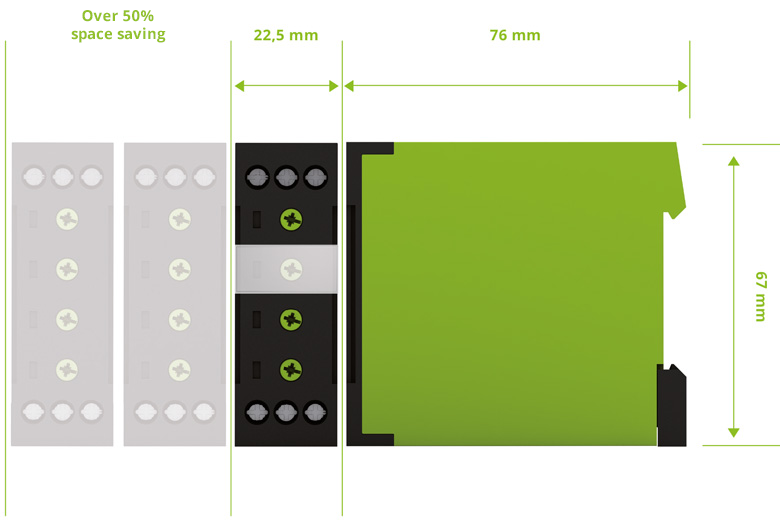 The TELE VEO is also faster than other relays: We have reduced its reaction speed from 250 ms to 150 ms. The environment says thank you, and we say you’re welcome. The environment is thankful because we use so few materials in our manufacturing processes. We also refrain from using toxic clear coat on the housing. And the fact that we have reduced the typical energy consumption to 0.35 watts is more than just a nice bullet point. The TELE VEO can be used in ambient temperatures of -25°C to 60°C. 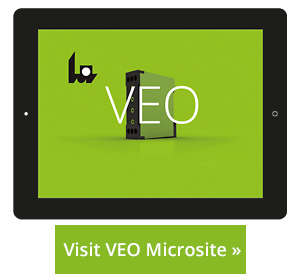 Are you having questions about the new Tele VEO?